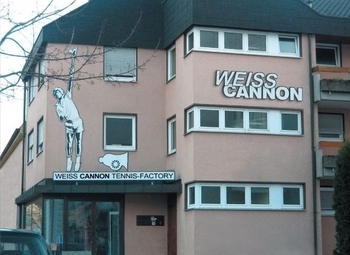 Weiss CANNON GmbH is a German-based company specializing in the development, marketing and production of high-end tennis products. Over the past 45 years the founders of WeissCANNON have developed a reputation for providing high-quality and innovative tennis products to tennis suppliers in Germany and throughout Europe. 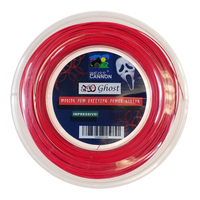 In 2007 they officially expanded into the US marketplace looking to introduce U.S. tennis players to the benefits of playing with technologically advanced string products. In 1963 the company began marketing tennis products under the name SE Weiss. They continued their business under the trademark Cloud which was eventually sold to a distributing company based in Switzerland. At this time they re-focused their efforts and formed a new distribution company operating under the name of Cannon. 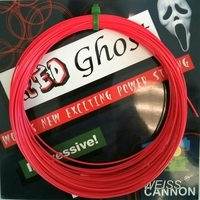 Cannon was the engine in Germany that was the first to distribute Gamma strings. Later Cannon took a leap to become the first to introduce, market and sell Luxilon brand strings, a move that would prove to be a catalyst for rapid growth, development and evolution. With years of product knowledge and a strong background in engineering and sales, Cannon stood clearly poised to take their business to an entirely new level. With a vision of creating the highest quality tennis products, Cannon began developing their own string and grip products. These new and innovative products are designed to meet and exceed the highest standards of performance excellence. Once again, Cannon finds itself metamorphasizing into a new type of leader in the tennis industry. 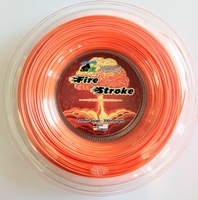 Now they are armed with superior products, made to their exacting specifications, with a factory where their own research and development gurus continue to innovate and improve upon string and tennis technology. No longer is this company primarily a marketing engine for other manufacturers, but they now produce a line of products that are truly cutting edge in terms of overall on-court performance. Poised and clearly ready to take a place as a market leader, Cannon's most recent evolution is underway and they have chosen the name of WeissCANNON under which to operate. The name proudly ushers in a new era while staying connected to the roots of quality and innovation on which the company was originally founded. WeissCANNON works exclusively with single agents to represent the company in various countries around the globe. Guts and Glory Tennis, is proud to be the official representative for WeissCANNON in the United States. We invite you to use this web site to learn about WeissCANNON and their products. This site is designed to be a portal of information for WeissCANNON USA to promote and educate those unfamiliar with the products about their technology and most importantly, the superior on-court performance. 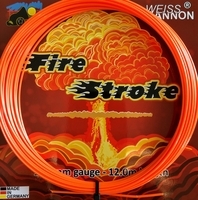 For those interested in obtaining WeissCANNON products, we have made it convenient to order products directly from this site. Approved retailers can also be found listed on the "Dealers" section of this site. 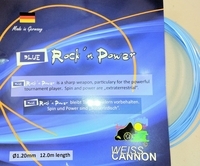 WeissCANNON does also provide a web site which can be viewed at www.weiss-cannon.de for those who prefer reading about the products in German.